People don’t passively consume books, they participate in them. They cast themselves in the lead role, acquiring the hero’s goal, going through their evolution, learning all the same lessons. They feel the protagonist’s sense of urgency. They wait until it’s safe to set their bookmark in the page. Authors need not write choose-your-own adventure novels to get their readers in on the action. When the author sets the scene, the reader chooses the angles. When the author determines the perspective, the reader adjusts the focus. When the author describes the environment, the reader provides the soundscape. Writers should leave room for these contributions. I disagree with any literary theory class that convinces students there’s only one way to interpret a story’s symbolism, that only the astute will walk away with the right understanding. I hate discussions that turn everyone’s translation into something uniform, that homogenize the imagination, that turn text into fixed images. A line of description is worth a thousand pictures. We all see stories differently. My reading of H.P. 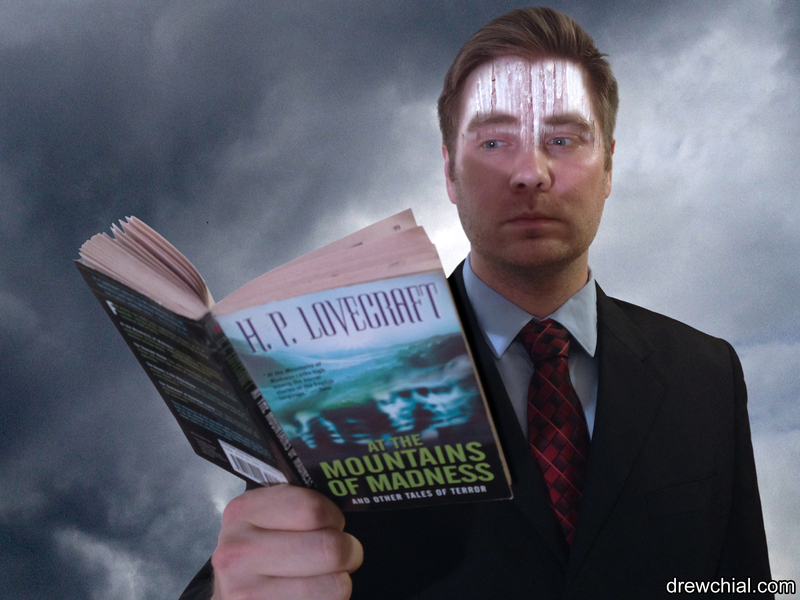 Lovecraft’s At the Mountains of Madness is going to differ heavily from yours. My mind’s art department added some after market modifications to the giant penguins, making them more disturbing. Since those blind birds were livestock for something in the shadows, I decided to see them with their eyes seared shut, wings clipped, and ankles fused together in crystalline slime, their feathers dripping with oil and blood. Lovecraft drew up the creature designs, but it’s my inner Industrial Light and Magic team that assembled them. Film is a collaborative medium. Screenplays are maps, they are not the terrain. There are discoveries to be made by every artist walking down the screenwriter’s path. The screenwriter might have the hero catch the villain’s punch and twist his arm, but the fight choreographer might think it’d look cooler if the villain flipped himself free. These lines do the cinematographer’s job for them. Specifics limit the director of photography’s artistic contribution, taking the discovery of the shots away from them. Screenwriters shouldn’t do the actor’s jobs for them either. Using a parenthetical, a writer could specify the tone of every line, but they shouldn’t. The situation should dictate the delivery. It’s up to the actor and the director to suss out the emotions themselves. Good dialogue leaves room for spontaneity, for the little gems actors give in the spur of the moment. In the same sense that screenwriters shouldn’t direct from the page, authors shouldn’t do the readers’ job for them. Like film, fiction writing is a collaborative medium. As writers, it’s our job to illuminate just enough of our environments to let the reader play set designer, matte artist, and lighting department. We layout just enough of our characters’ costumes to leave the reader in charge of tailoring. We identify sounds, but we don’t mark every noise with an onomatopoeia. That’s where the reader gets to play foley artist. We evoke the sound effect, they pull it up from their memory archives. Who are we to debate with readers, when they turn our “muffled thuds” into thunderous crashes in their heads? When it comes to writing supernatural stories, it’s often best to leave room for abstraction, to describe something seen out of the corner of your hero’s eye, to describe a silhouette, teasing the reader with the details in the dark. 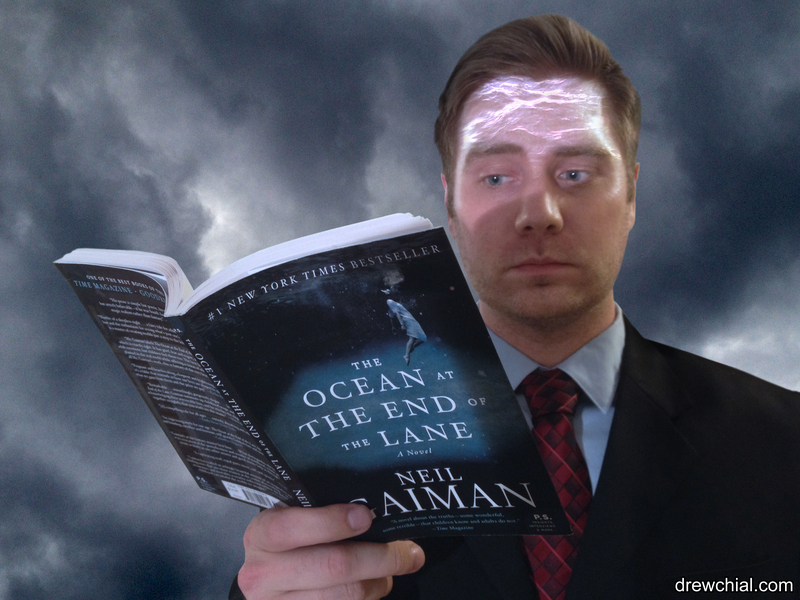 Read Neil Gaiman’s The Ocean at the End of the Lane for a masterclass in supernatural writing. Gaiman doesn’t describe the creatures in this novel down to their molecular level, instead he gives you an impression. Sometimes they’re shadows that disappear the moment the narrator focuses on them. Sometimes they’re so horrifying that the narrator’s memory wipes their image the moment he looks away. He leaves just enough of a Madlib for his readers to fill in. One of my favorite tricks in Gaiman’s tool box is when he has the narrator question his recollection. The narrator wonders how he could’ve ever mistaken his nether-realm nannie’s face for anything but a pile of strategically placed rags, until the light shifted and she was beautiful again. Those fluid descriptions had my mind staging grand productions. Upon finishing Gaiman’s book, I adored the movie the two of us made in my head. I know The Ocean at the End of the Lane has already been optioned for the big screen, but I suspect I’ll prefer my adaptation to the theatrical one. They’re not arguing the worth of one medium over another, that’s like comparing apples to oranges, they’re arguing the value of imagination over tangible representation. They’re arguing for their version. 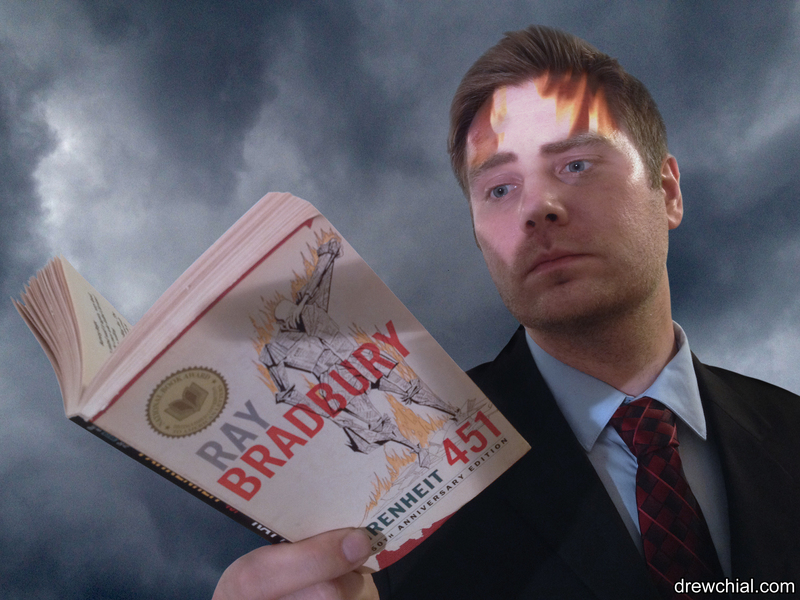 This is why I’m not afraid of a scenario like the one found in Ray Bradbury’s Fahrenheit 451, where books fall so far out of fashion that they’re burned. Too many readers care about their own artistic contributions to let that happen. 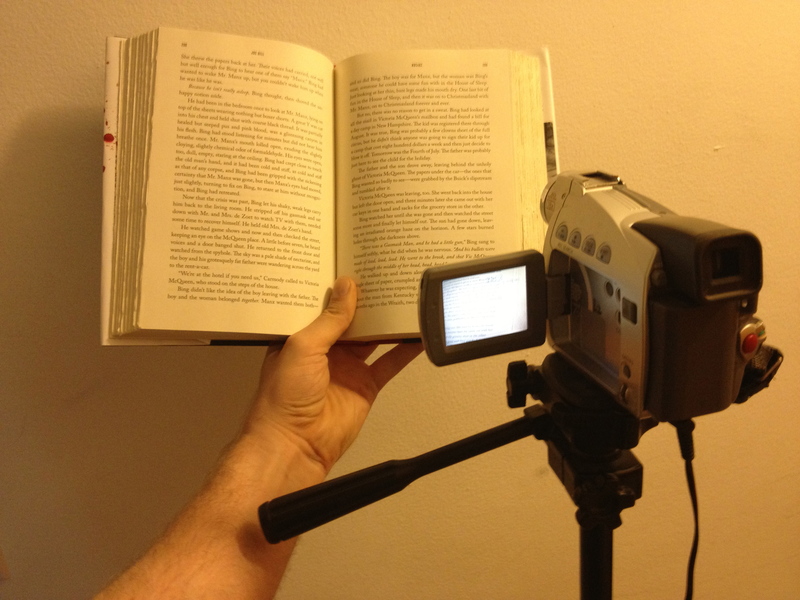 Films have the power to invoke the imagination, the best leave spaces for their audiences to wander in, but books are always wide open, waiting for your input, your vision, and your additions. Stephen King says, “Writing is telepathy.” I’d say the best of these messages evolve upon delivery. All artistic mediums invite participation from their observer, but few offer as much creative freedom as literature. Writers are always told to read more. Read enough good stories and one might rub off on you. Don’t worry about taking notes. Don’t worry about deconstructing the text. Just read for pleasure and your subconscious will absorb everything in the background. The meaning will be found for you. Take your imagination for a walk and your subconscious will count the steps. Let the story pass by. Read it on autopilot. Don’t worry about following the plot. The twists will present themselves in due time. You’ll recognize the land marks and feel brilliant once you arrive at your destination.